Lock in a great price for Kingfisher Bay Resort – rated 8.2 by recent guests! The location was awesome, the staff were so friendly, the setting is absolutely amazing, the breakfast could be better, more choices. The room, the trees, the staff and food at seabelle were amazing. Fantastic Location , Great Room with Amazing View of ocean , Pool was awesome . Food was Great from both restaurants. Staff Very friendly . Bed was also very comfy had amazing sleep. Would love to stay again. The smell of the room when we first walked in was amazing... The facilities and the location are amazing.. a little expensive for what you get though.. The property was absolutely beautiful! It’s definitely an upscale resort! It had everything you would want,..including tours and adventures! The room was big and the staff was friendly and helpful in all areas. Breakfast at the resort was awesome. We did not have a chance to see/use other facilities in the resort due to our travel itinerary. The ferry point is also near. Superior service from their friendly staff! The room was clean, the tours were great, and it was very nice to walk around the property. 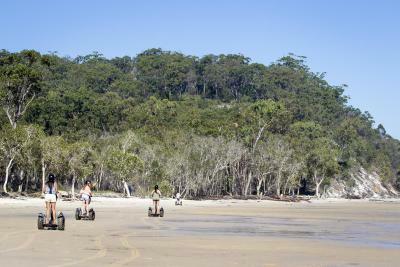 It's a comfortable and convenient way to experience Fraser Island. Location is very well integrated into the surrounding landscape and nature and rooms are facing an interesting feature. The fenced area is safe and provided a lot to look at and walking opportunities. I felt at ease and relaxed while immersing myself in the nature. All the staff were very friendly. Facilities are lovely and we really enjoyed the outlook from our Bay View Room. 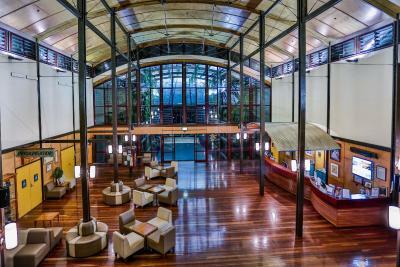 Kingfisher Bay Resort This rating is a reflection of how the property compares to the industry standard when it comes to price, facilities and services available. It's based on a self-evaluation by the property. Use this rating to help choose your stay! 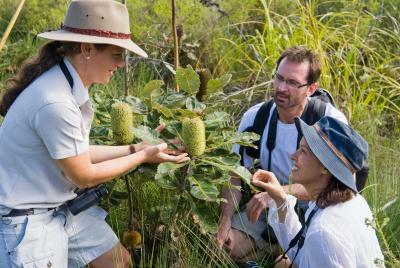 Kingfisher Bay Resort offers modern accommodations, varied delicacies in its 3 restaurants and many bush walking tracks. 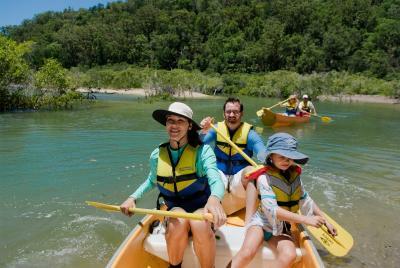 It is located on the World Heritage listed Fraser Island, near Great Sandy Strait. 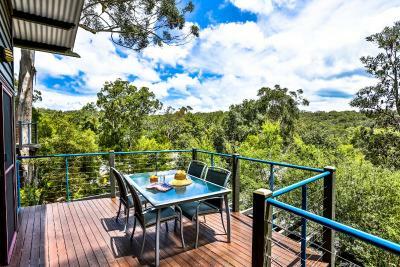 This villa features a private balcony or patio with views of the native bushland. They have a fully equipped kitchen and laundry facilities. Colors and design may vary from images shown. Please note that some villas have lofts. Please inform the hotel when booking if you are traveling with young children or elderly guests, using the contact details found on the booking confirmation. House Rules Kingfisher Bay Resort takes special requests – add in the next step! Please inform Kingfisher Bay Resort of your expected arrival time in advance. You can use the Special Requests box when booking, or contact the property directly using the contact details in your confirmation. It’s a bit dated, rooms need updating. Excellent location, staff were all very friendly.